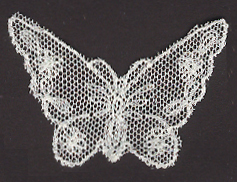 The Embroidered Nettings are all made in Nottingham in the UK. 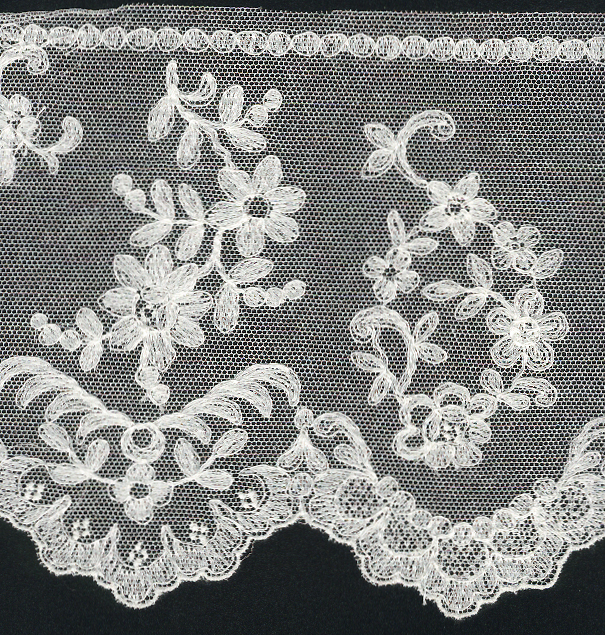 These embroideries are not laces and are made by a different process using different machinery. 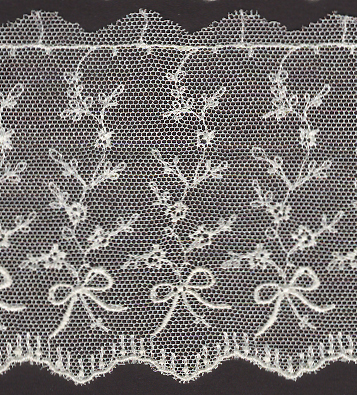 The background is cotton bobbinet over which a design is embroidered. 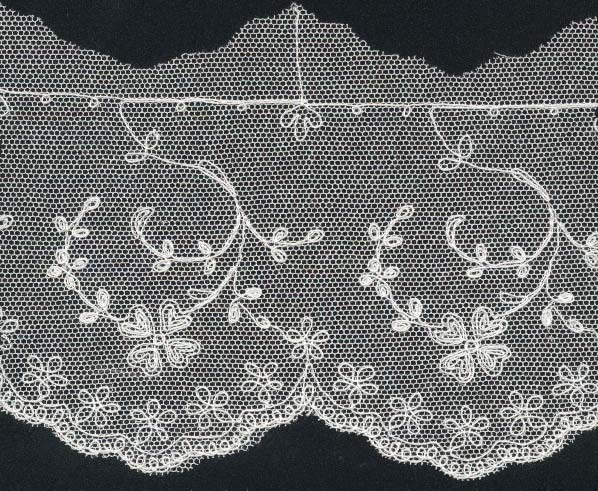 All of the embroidered nettings featured here are cotton embroidery on cotton bobbinet unless otherwise noted. 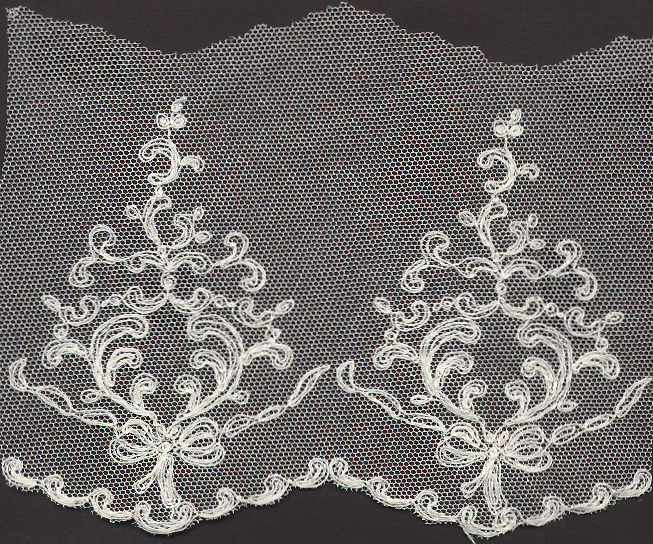 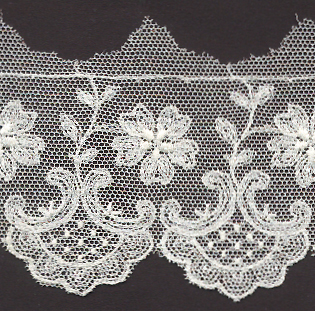 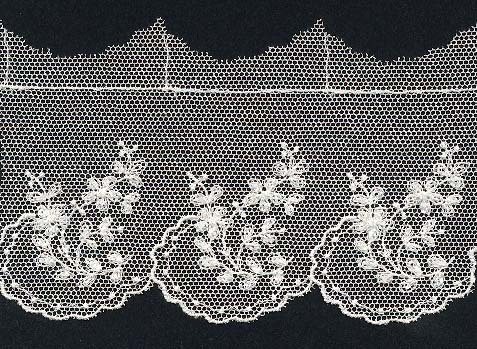 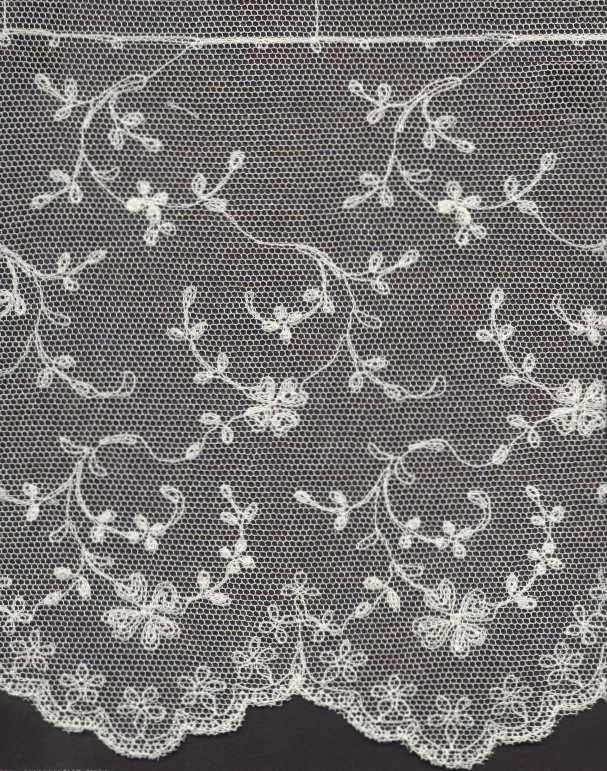 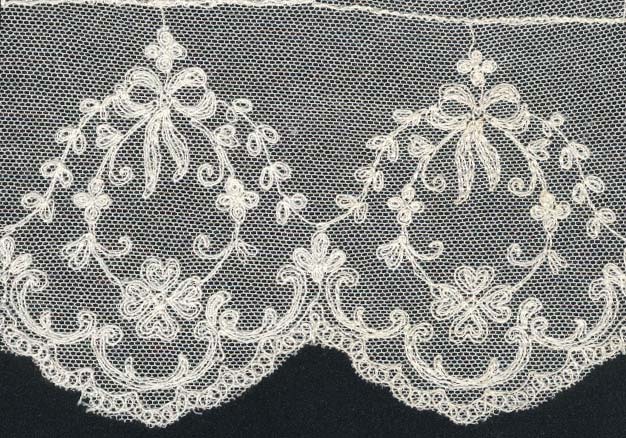 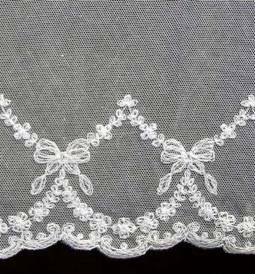 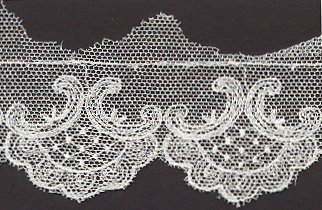 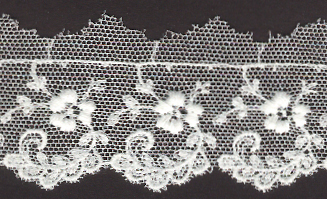 Where noted, some ivory nettings use rayon or viscose thread in ivory and this will give a shiny reflective appearance to the embroidery rather than the matte look of the cotton embroidery. 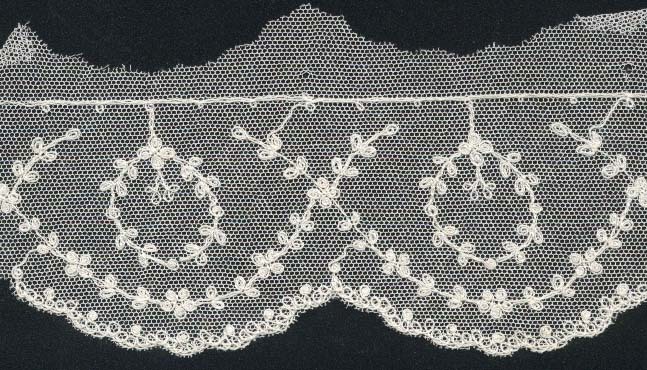 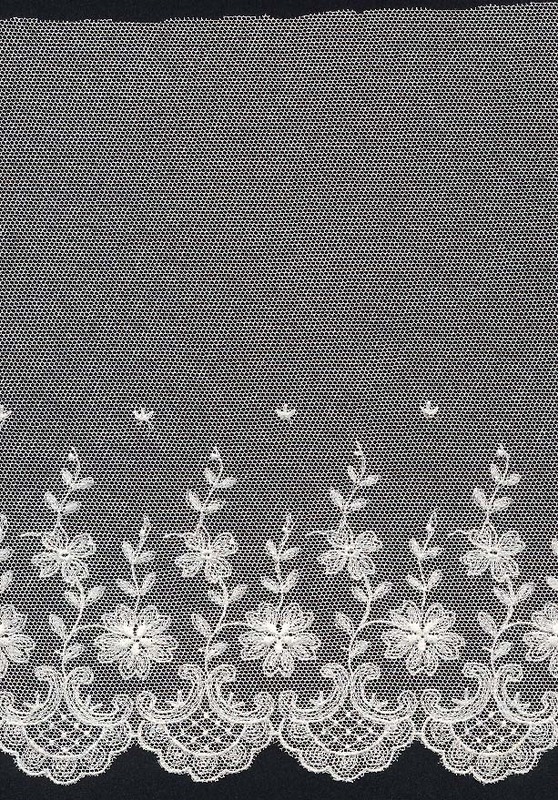 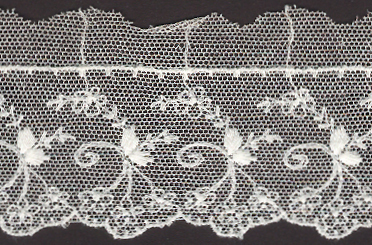 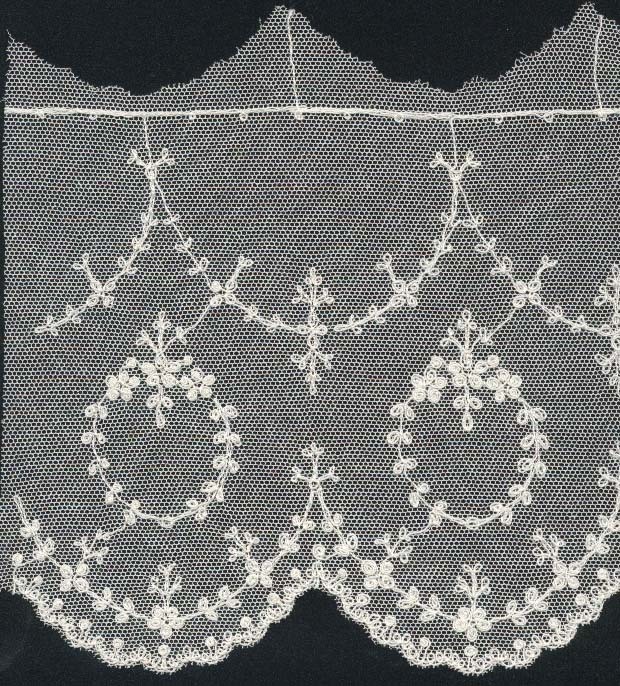 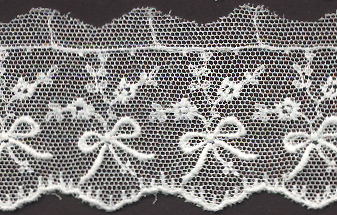 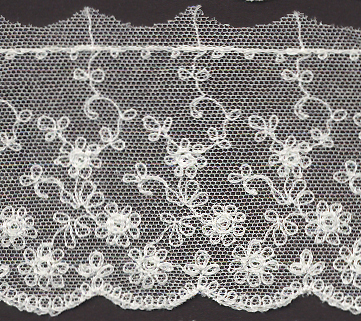 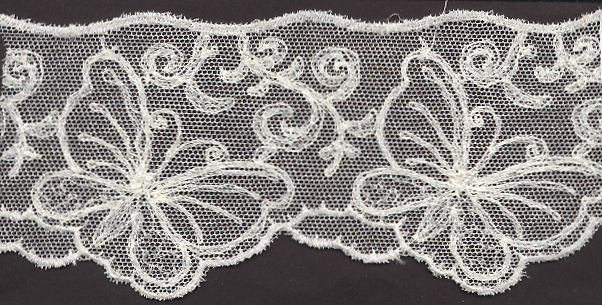 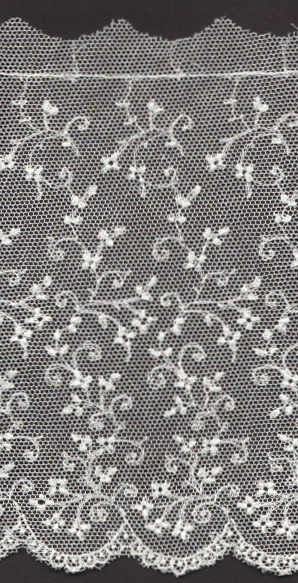 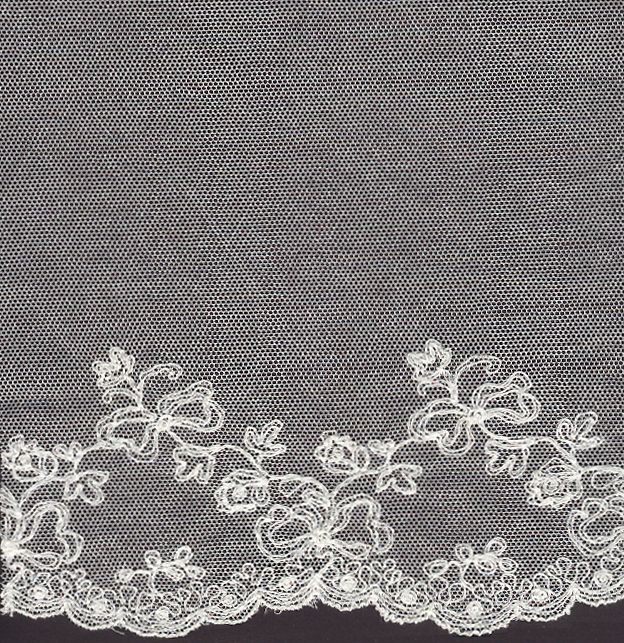 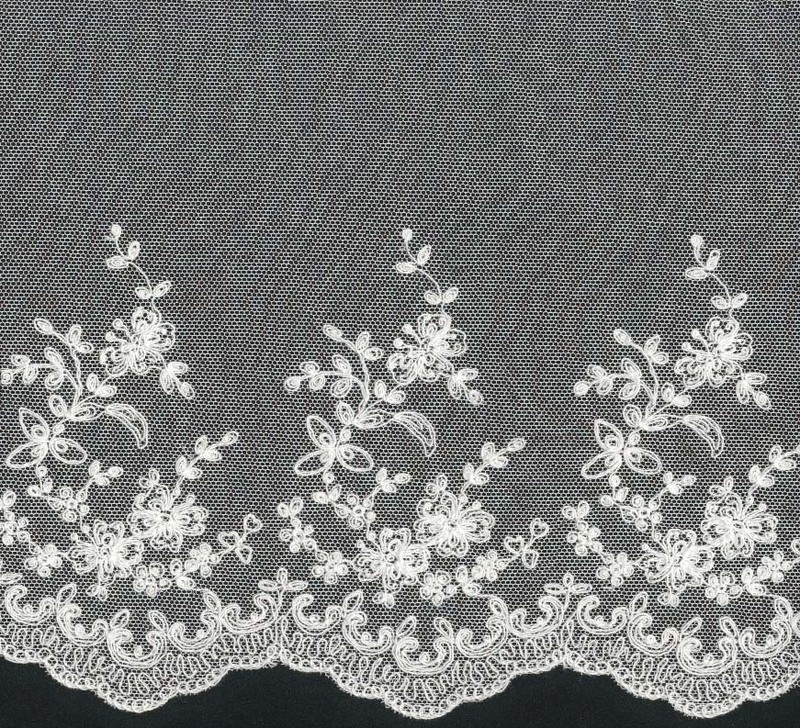 The ivory colour of the embroidered netting is often called old white or English white. 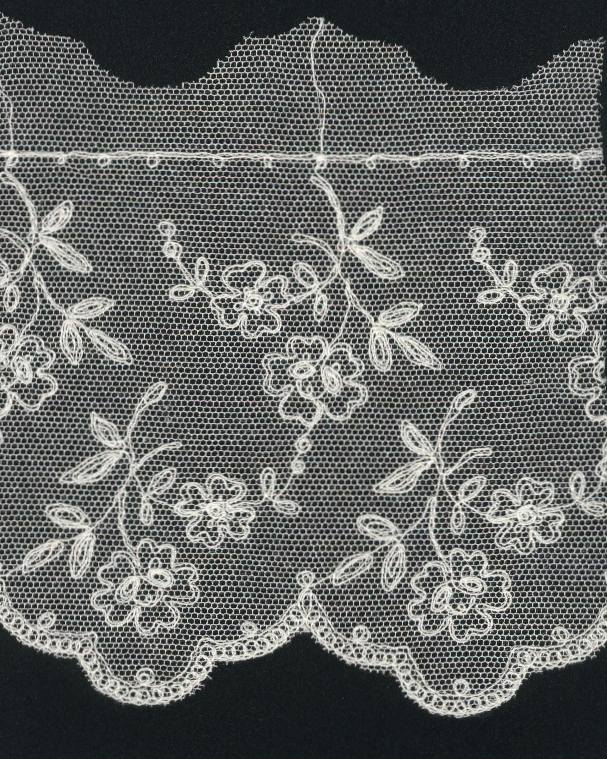 It is a very soft ivory that is similar to a linen or wool white. 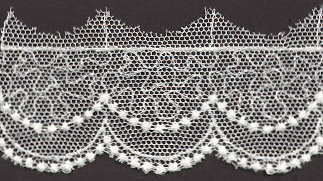 When the embroidered netting is cotton embroidery on cotton bobbinet it can be turned into white by soaking in a solution of Napisan or hot Biz (USA) for 5 minutes or so. 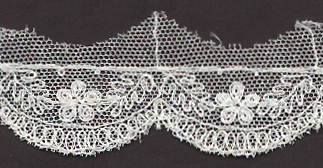 It can also be dyed black or any other colour. 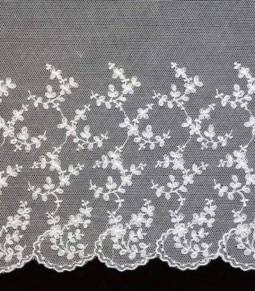 Be prepared for some shrinkage and ease out to size after towel drying, especially around the embroidery, and ease again when nearly dry as you iron it. 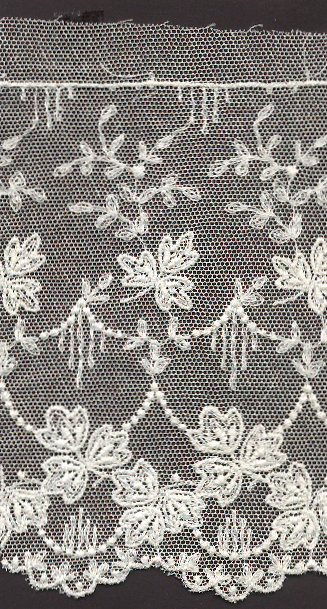 Exact design used on Princess Diana's wedding gown and train.